You are here: Home / 2019 / April / 02 / Is Inheritance Tax Simplification On The Way? 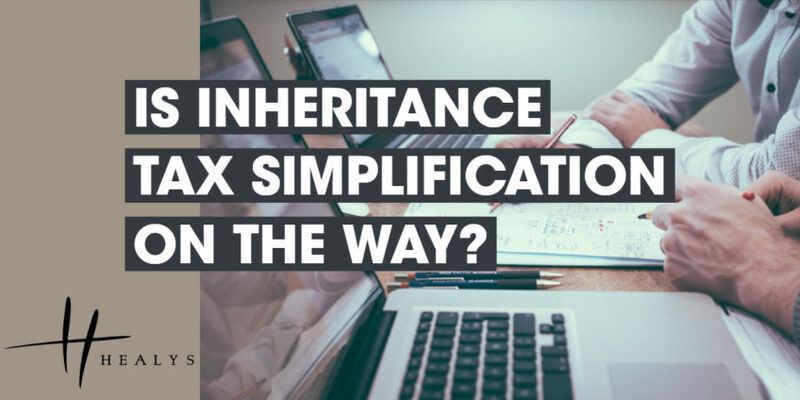 More than 550,000 people die annually in the UK and half of those deaths require the completion of Inheritance Tax (IHT) forms, which are not straightforward and can be a daunting burden at a difficult time for families. However, only 5 per cent of estates actually end up paying IHT. When there is an IHT liability, the average sum payable is about 20 per cent (the IHT rate is 40 per cent) of estates between £1 million and £9 million, but then falls to an effective rate of half that for larger estates, mainly because they are better able to make use of reliefs such as business property relief and agricultural relief. It may be a surprise to many that IHT contributes less than 1 per cent of the tax income of the Government. IHT reliefs are many and complex, but it is clear that those with greater wealth are also more able to make use of the very generous ‘lifetime gifts’ relief available, which further exacerbates the apparent unfairness of the tax. The values of some reliefs have remained unchanged for decades, while others are uprated regularly, without any coherent reasons for the disparities being evident. Faced with these anomalies, the Office of Tax Simplification has begun a review of IHT, which to date has yielded more than 3,000 representations from interested parties. It remains to be seen what the outcome will be, but in the meantime, an awareness of the potential impact of IHT on your estate is sensible. It should be borne in mind that most estates can, with a little planning and forethought, be structured to eliminate or greatly reduce IHT, provided the planning is done early enough.